If you grew up in Buffalo, you couldn’t escape the Football Mania. I spent Sunday after Sunday of my childhood watching my dad do an equal amount of cheering and crying during Bills' games. 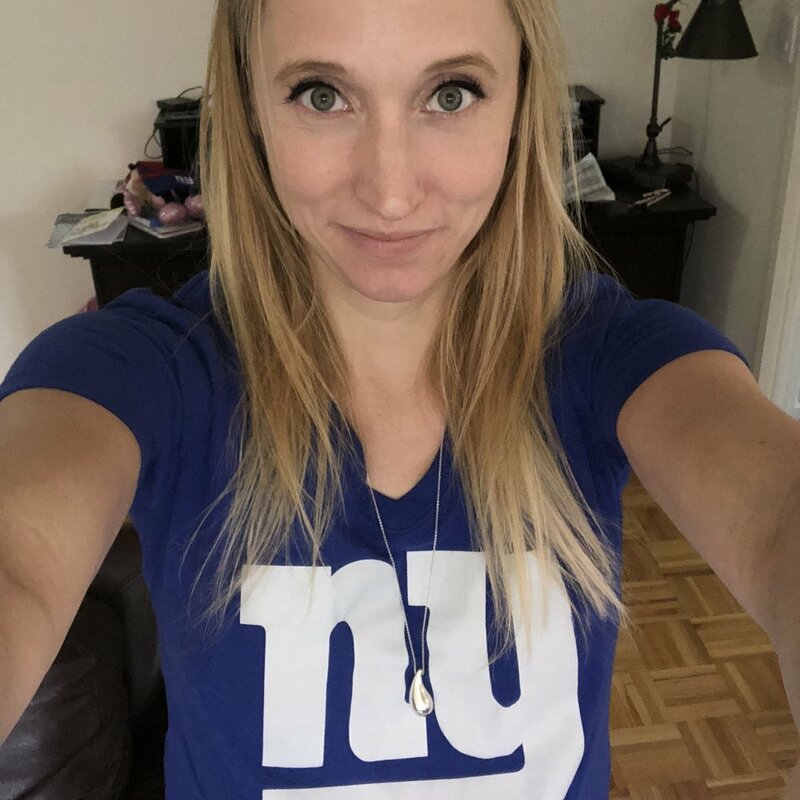 But as much as I was involved in Bills Mania as a kid, I didn’t truly begin to enjoy watching football until I met my husband, who—to my dad’s great dismay—is a Giants fan. I love football Sundays now because they're an excuse to stay inside out of the cold, watch TV all day, and, of course, make stick-to-your-bones comfort food. 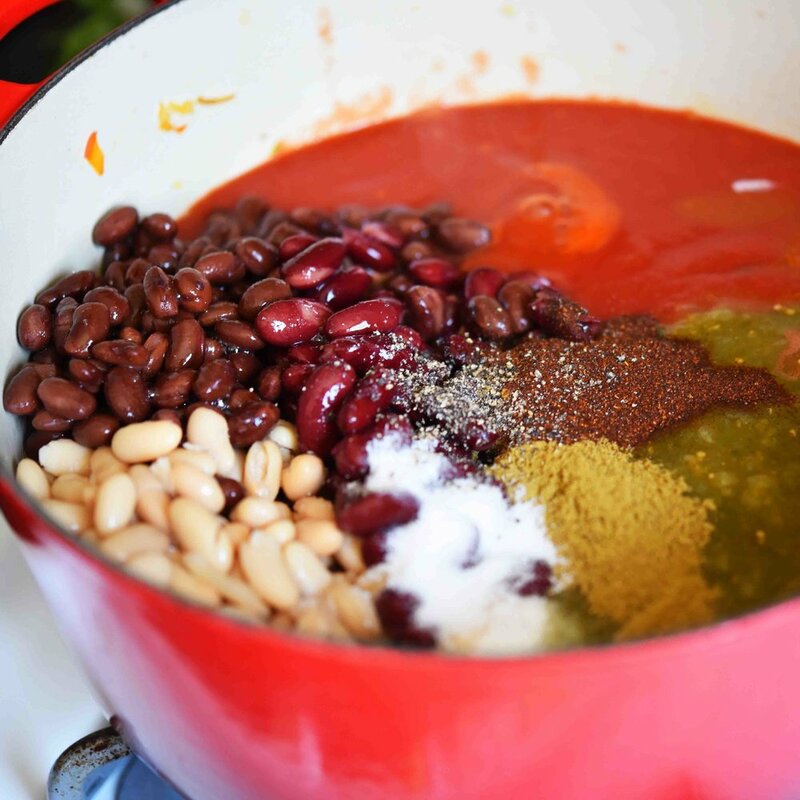 Chili is a classic football dish that I love, and not just because it’s warm and satisfying. It's one of those dishes that seems to last for helping after helping—it feels like the pot may never run out. However, a lot of chili recipes are all about the meat, with maybe just a small amount of veggies on the side. ...And just a touch of meat. So I start and finish the chili with a little chorizo, which brings together an ensemble of tomatoes, beans, and spices—creating a meaty chili that’s really not-so-meaty. But I promise it will be so mouth-wateringly flavorful you won’t miss the extra meat. In a large Dutch oven or stockpot over medium-high heat, cook the chorizo until it is well-browned, breaking it up with a spoon as you cook—about 7 minutes. 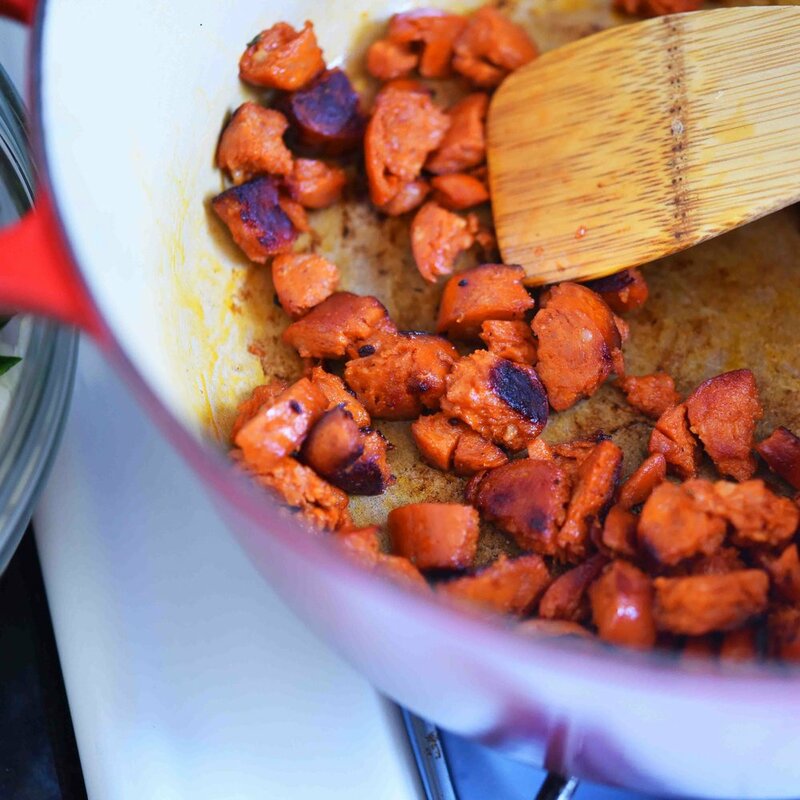 Transfer the chorizo to a paper towel-lined plate, reserving the fat in the pot. 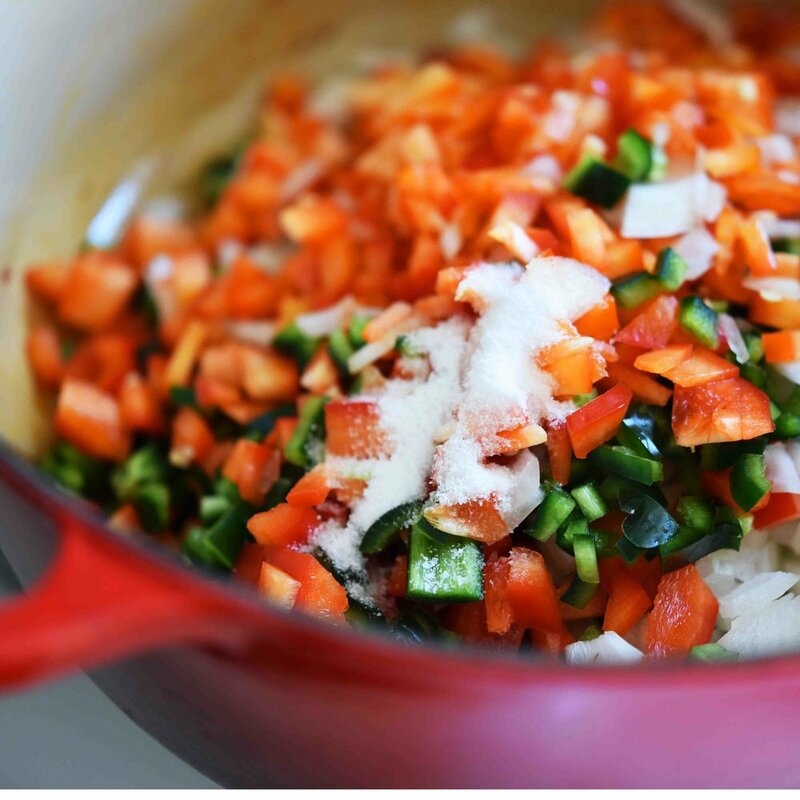 Then add the bell peppers, onions, poblano chiles, garlic, and 1 teaspoon of salt and cook until the veggies are tender—8 to 10 minutes. Next add the tomato sauce, black beans, kidney beans, white beans, salsa verde, cumin, chili powder, the remaining 2 teaspoons of salt, and the black pepper. Simmer this mixture until it is thickened—about 20 minutes, then stir in the cilantro. To serve, divide the soup into bowls and top each with the chorizo. Garnish with sour cream and chives if desired.